You CAN have a blog about many things. This is how to make it happen. 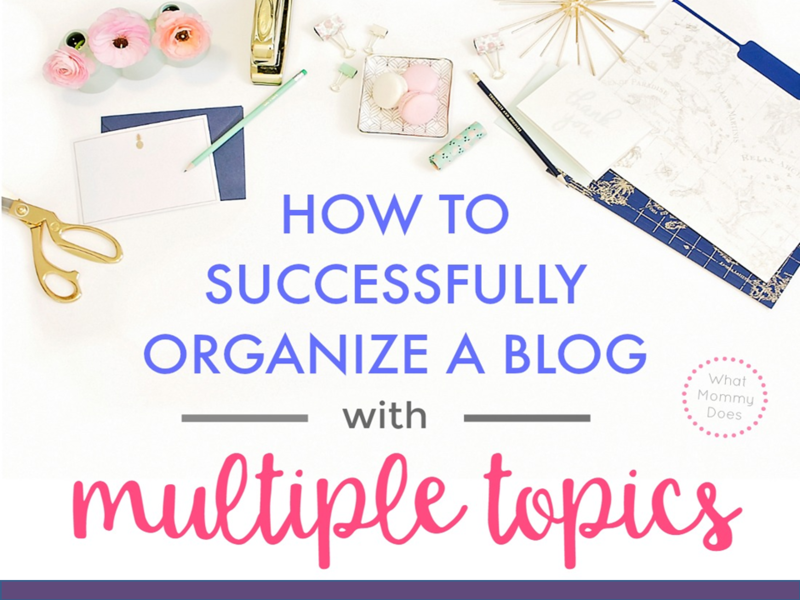 Lots of bloggers want to write about multiple topics, but the thought of organizing it all under one blog can be overwhelming! Before you run off to create several blogs, let's stop the insanity and figure out a way to make it all work on ONE website. Getting this right is your 1st step in keeping visitors on your blog and monetizing effectively. When your blog is organized logically, your visitors will feel at home. They will feel like you personally invited them to your corner of the internet. If I can organize FAMILY / FAITH / FITNESS / FINANCE / HOLIDAYS / PARENTING and more on a single blog, YOU can do the same! You wish your blog readers had a clear path to follow? I get it! This was ME not very long ago. This guide is for bloggers who don't want to write about just one topic. Once you get your categories and overall blog organization under control, you will feel so much relief. My hope is that you are able to achieve blog topic clarity MUCH FASTER than I did.